have attempted, as Brose does here, to demonstrate the relationships among science, technology, the economy, and general political developments. Incorporating much new research, Professor Brose continues his work of synthesising economic and scientific factors along with the role of social and political institutions. The result is an up-to-date, tightly written, and concise survey of the history of technology and science over four centuries. The narrative starts with the opening of the modern historical epoch around 1500 and ends with the outbreak of World War I in 1914, and covers events in both Europe and the United States. Brose constructs his account from the standpoint of technological systems -- the idea that each epoch evolves a system to meet the material demands of society -- and the rise and fall of each such system within the period. 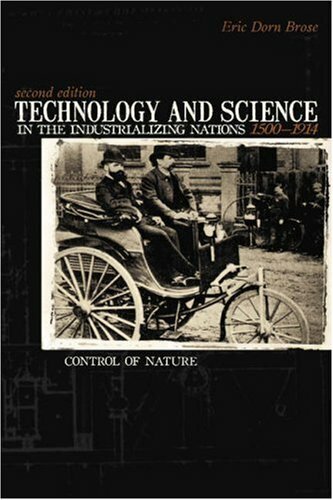 This is a fine introductory overview of the interrelationships among science, technology, and society in the early modern and modern periods, and the impact of each upon the other.